So right now I’m in the middle of packing my luggage for Sumatera trip (will be leaving in 2-3 hours time) and I want to share with you how you can make unlimited calls while traveling abroad with minimal and affordable flat rate. I have been travelling a lot and I have to stay in touch with my colleagues and clients in Malaysia. 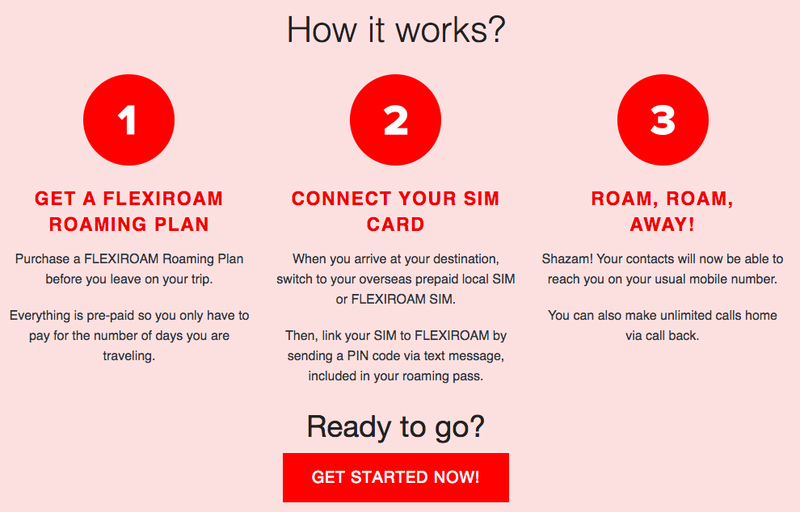 For those who follow me on my social media, they should know that I always go for Flexiroam whenever I have to travel abroad. Well, the first time I used their services was back in 2012 when I had my first 16 days Indonesia trip. You have one loyal customer over here. Keep it up you good services! Basically it’s very simple. Just get a local sim card and follow the simple instruction and you can maintain your own number. 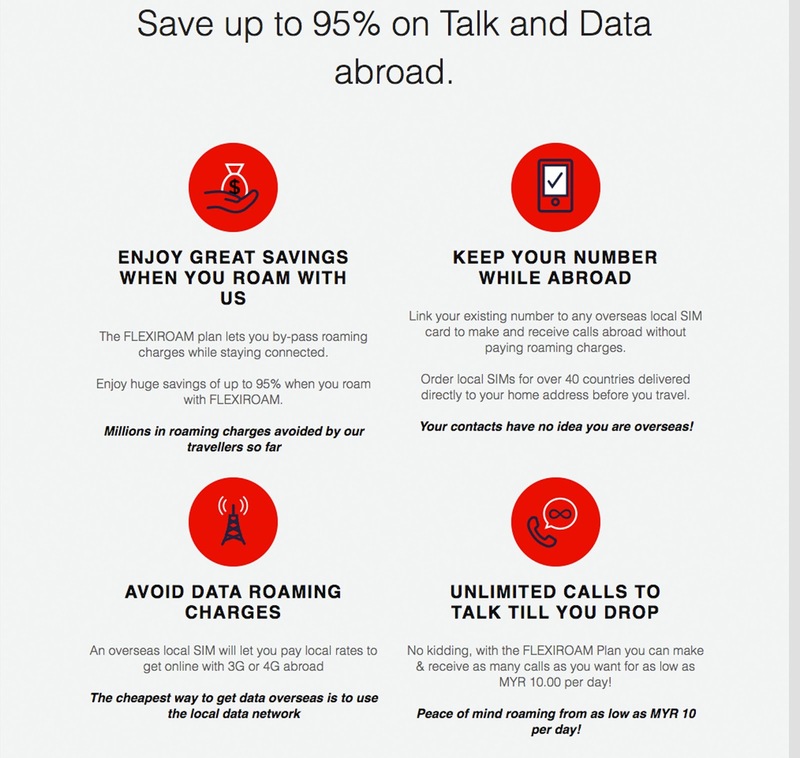 With as low as RM10/day rate (Indonesia), now you can stay connected without worry about your bills. Dashboard. You can check out your detail and also earn some credits too. Just drop your email on my comment box and I will share with you some promo code ya. 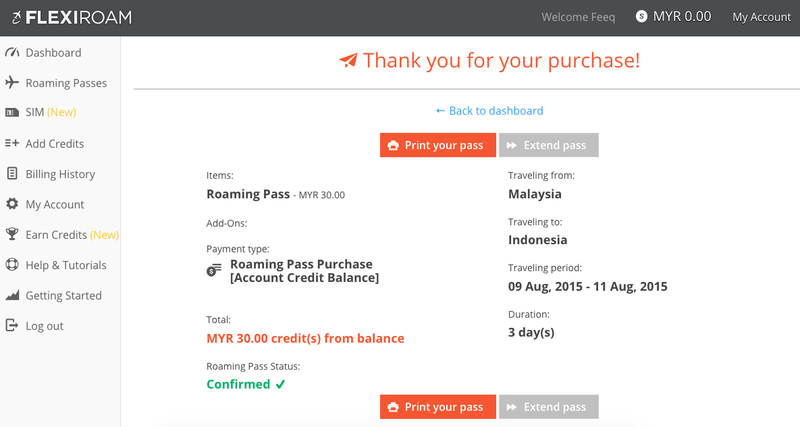 My latest trip previously saved me RM27.50. So, do let me know what do you think about their services ya.